Romain Cannone lives anything but a normal teenage existence. His life revolves around school and fencing, with not much time for anything else. 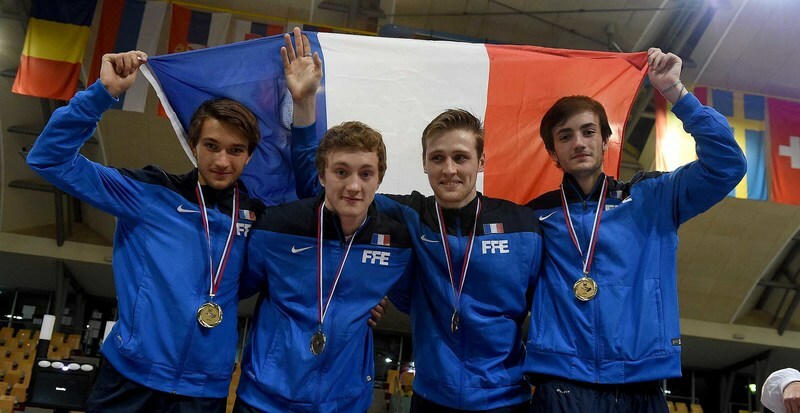 But Cannone’s hard work and sacrifice paid tremendous dividends when he helped the French National Junior Team beat Hungary for the men’s epee gold medal at the European Championships in Maribor, Slovenia, earlier this month. 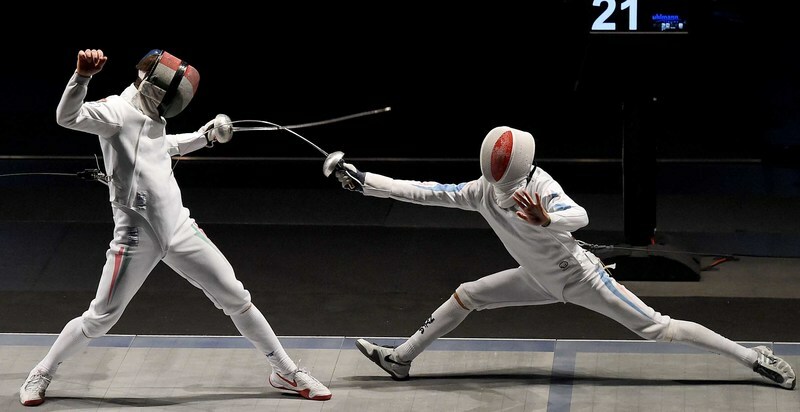 Cannone, who finshed 17th in individuals, took up the sport at a camp six years ago when his cousin Zoey urged him to give foil fencing a try. He switched to epee – a stiffer, heavier sword – at the recommendation of his mentor, fencing coach Misha Mokretsov, who has trained numerous nationally recognized fencers through his company New York Fencing Academy (NYFA), located at 2896 West 12th Street in Coney Island. Mokretsov wasn’t an established coach when he first met Cannone in 2010. In fact, Cannone was among his first generation of students. But as Cannone developed, so did his teacher, who recognized the ability in his budding pupil from the outset. As one of Mokretzov’s star pupils, Cannone has competed at fencing events all over the country and world – which pulls him away from his studies for weeks at a time. When he arrives home, it’s business as usual, and he works feverishly to make up all the school work he’s missed. But the young fencer doesn’t mind the sacrifice. Cannone trains in fencing and overall fitness twice a week in Westchester – where he lives and attends school – and spends spends Fridays and Saturdays in Coney Island, taking private lessons with Mokretsov. He has a point considering there are not many adolescents that can say they have visited places such as Virginia, Switzerland, Bratislava, Slovakia, and Estonia, let alone compete on the national and international stage in any sport. In January, Cannone captured the bronze medal at the Basel Junior World Cup in Switzerland, earning himself the #1 ranking in France’s men’s epee, under-20 category. Last year, he also won the gold at the Cadet World Cup in Slovakia, and ended the season ranked third in the world. As for his success, Cannone and his mother Cecile attribute a great deal of it to NYFA and his coach and friend Mokretsov. What’s next for Cannone? The rising fencer is currently in his last international competition of the season, where he will be competing in the World Championship team event in Tashkent, Uzbekistan on April 1. Next year, he plans on attending Sacred Heart University in Connecticut on a partial fencing scholarship to study business. Brooklyn, NY (March 12, 2015) – After earning an individual bronze medal at the Basel World Cup, Romain Cannone (New York, NY) was selected to compete for France at the European Fencing Championships in Maribor, Slovenia. 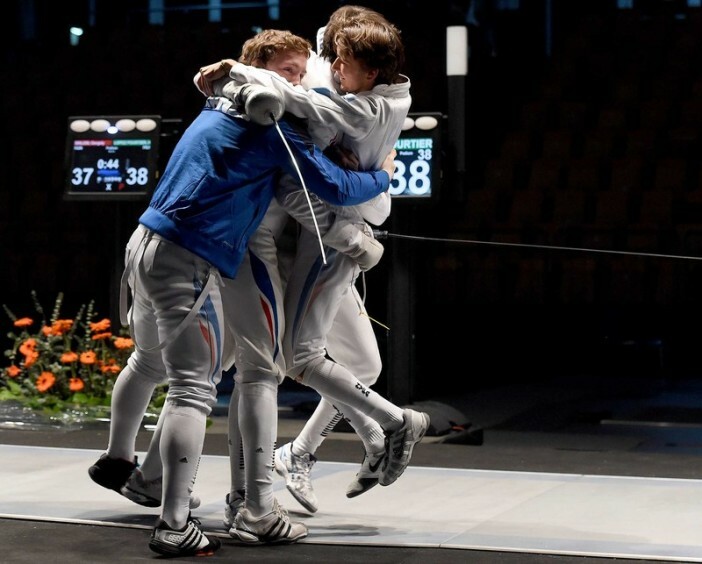 As Cannone explained, “just being there was a dream come true because it is really the competition everyone wants to go to.” He and his teammates took this opportunity all the way to the top, winning the Junior Champion title in the men’s epee team event. Fourth seeded France got off to a rough start, barely beating 13th ranked Estonia by just one point. This close win put them in top 8, where they had to pull it together to face fifth ranked Switzerland. France was down by four, but Cannone scored eight points to help his team win 45-41. Next they had to defeat Israel which was ranked eighth but had just beaten Spain to take the first seed spot. Cannone was a little anxious since Israel’s Yuval Shalom Freilich, number one in the world, eliminated Cannone two days earlier, on his way to winning the individual championship. However, this time, Cannone and his teammates were unstoppable, soundly defeating Freilich and the Israeli team 45-29. The final match against sixth seeded Hungary was very tough. France was ahead 22-21 when Cannone began the second to last bout. It was important to bring the score as close as possible to 40 without losing the lead. 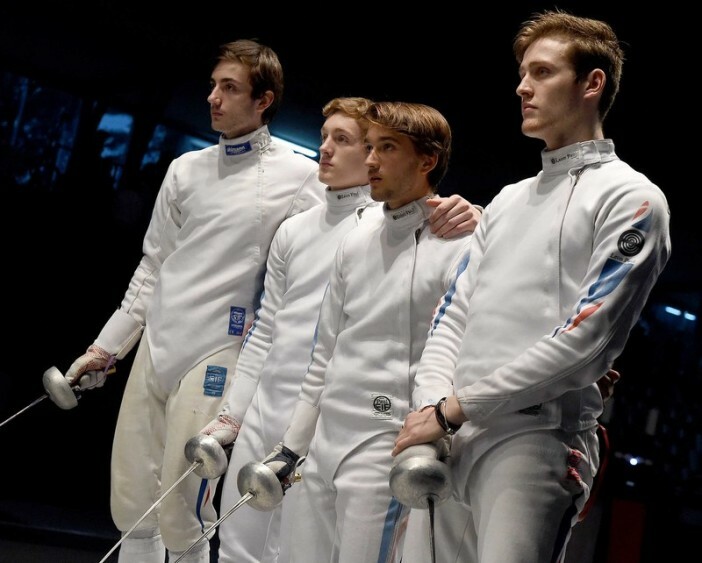 The Hungarians put in their best fencer, Zsombor Banyai, who won silver in the individual event. Perhaps they hoped to take advantage of France’s least experienced, first year rookie, but Cannone held his ground and even increased France’s lead to 31-29. The final bout was very intense; France was ahead 44-41 and in the last five seconds, Hungary started to make a big comeback. Still, Cannone recalled, “we just knew we were going to win.” And they did, by 1 point. 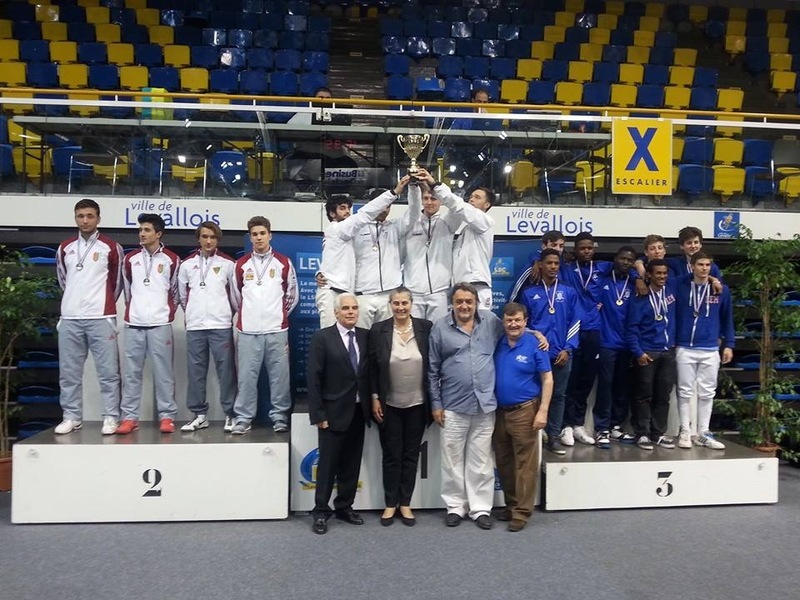 With the final score of 45-44, France’s team and NYFA’s Cannone, became the 2015 European Junior Champions. In his last international competition for the season, Cannone will be competing in the World Championship team event in Tashkent, Uzbekistan on April 1. New York Fencing Academy (NYFA) was founded in 2010 by owner and head coach Misha Mokretsov and is located in Brooklyn, NY. 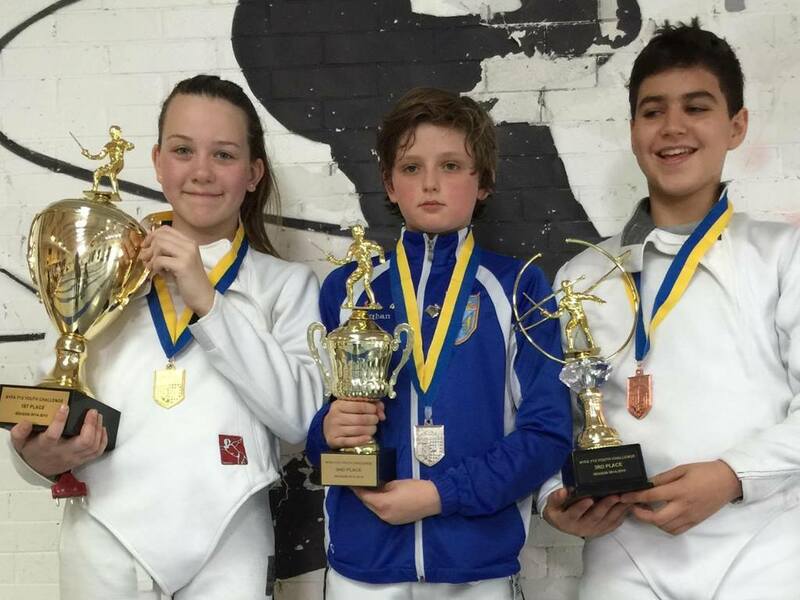 NYFA is quickly becoming a center for excellence in epee, with one of the strongest competitive epee youth and cadet programs in the tri-state area. In just four years, NYFA has produced many nationally-ranked fencers earning Champion and Finalist titles at International and National competitions, including a European Champion on the French junior national team. NYFA provides private lessons, group classes, and camps for students of all ages and all levels, beginners to advanced. Visit www.fencenyfa.com for more info.